Oster is a bread machine manufacturer and maker of small appliances, originally called the John Oster Manufacturing Company. They were acquired by Sunbeam in 1960 and still manufacture their range under the Oster brand. In this article I am going to do an oster bread machine review, meaning the Sunbeam branded machines are not included, but the Sunbeam machines are reviewed elsewhere on the site. The two machines we will be talking about are the Oster 5838 2-pound Expressbake Breadmaker and the Oster CKSTBRTW20 2-Pound Expressbake Breadmaker – the main Osters currently on the market. The range offers great quality at a great price, as these are some of the cheapest machines on the market, but do they stand the test of the consumer? How do these machines stack up when it comes to loaf quality, and is the rich history of the Oster bread machine still going today? I’m going to start with the CKSTBRTW20 (that’s a bit of a mouthful, especially compared to the 5838) which is a sub $100 machine, which is the very cheap end of the market, but is it a cheap loaf? 9 baking settings with three crust setting. Up to a 2 lb loaf, suitable for gatherings and large families. Programmable for up to 13 hours meaning you can return from work or wake up in the morning to a loaf of your favorite bread. Expressbake setting for a loaf under an hour. LCD display for ease of use. The machine is exceptionally reviewed on Amazon, and considering the price tag has a great range of features. Quotes from the reviews section include “exceptional loaf for the price” and “would purchase again in a heartbeat”. Currently selling for just $70, this machine is punching well above its weight at a rating of around 4.5 out of 5 – you’ll struggle to find a better or more reliable machine even if you spend double the price, more features perhaps but a better loaf? You’ll struggle. This is another machine you can buy for mere double figures, in fact available as cheaply as $50 on the Amazon marketplace at the time of writing this. Still a great bread machine in spite of its tiny price tag. 13 hour delay timer with an amazing 1 hour ‘keep warm’ feature for a nice hot loaf even after the cooking has finished. This machine falls a little short of its predecessor with an average customer rating of 3.5, however don’t let that make you think this is a poor machine, as it is available for such a reasonable price and will still make a solid loaf of bread, though for higher quality I would recommend the CKSTBRTW20. The Oster bread machines available are an exceptional range, even though there are just two of them currently available, Oster know what they’re doing when it comes to the kitchen appliance market and bread machines are no different, if you’re looking for a great, quick bread machine at an affordable price, Oster is your answer. 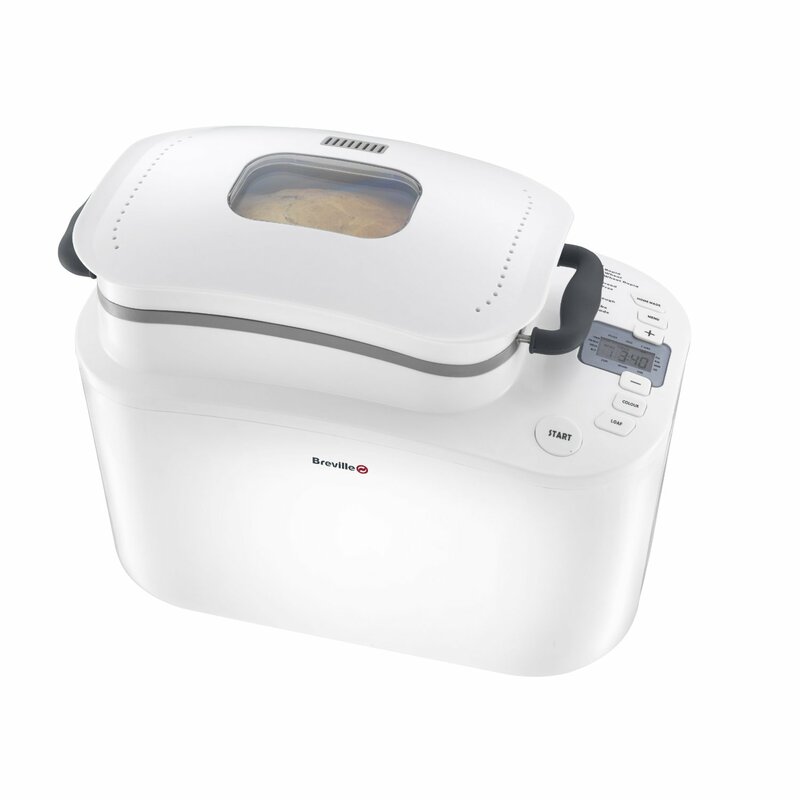 Having already featured a short Sunbeam 5891 review in a previous post about the best cheap bread machines, I decided it deserved a more detailed review! This bread machine is available well below $100 and is therefore extremely affordable. You might think that for the price, you’re getting a more ‘budget’ range of bread machine, and though this is not one of the more expensive models with super duper features like walking your dog for you, if you’re looking for simple but varied family loaves, look no further than the Sunbeam 5891. As well as this, there are three crust choices, so you can choose the color you like on the finish of your bread. The Sunbeam 5891 is extremely easy to use with an LCD interface that makes bread making simple for even the most amateur of bread maker! Clearly labeled buttons and no confusing added extras mean you get it right every time and won’t have to spend ages reading the manual to be sure you’re getting the bread you’re looking for. Not only is it easy to use, the non stick bread pan makes it easy to clean, too, so you won’t waste time and effort scrubbing. In a hurry? This is one of the cheapest bread machines to offer an expressbake mode that means you can make bread in next to no time, under an hour in fact, which is incredibly fast! Those of us who aren’t organised enough to plan hours and hours ahead should still be able to enjoy bread too. A handy booklet means you get a load of recipes included with your Sunbeam 5891 and can have a lot of different types of bread with recipes tailor made for your own machine! What is better than the smell of fresh bread in the morning or when you walk through the door? I love the delay settings on bread machines, and this is offered on the sunbeam, so you can set your machine up to 13 hours ahead, go to bed or off to work and prepare to wake up to the smell of a bakery. The amount of features and added extras mean this bread machine is a real bargain at under $100, and I would recommend it to those looking for a more affordable model. A well reviewed, long lasting maker that may even pay for itself in time.